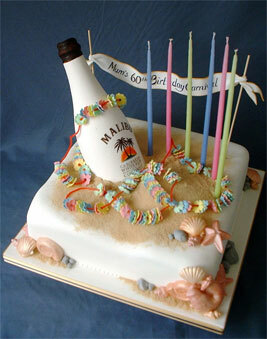 Individually Designed & Decorated, Original, Delicious Cakes & Sugarcraft for all Occasions. Louise's cakes have created many a 'wow' as people stare in amazement at what she has created out of sugar and cake!! Have your own ideas crafted in to a magical creation just for you. Each project is individual, taking into account any personal ideas you may have. Don't worry if you are short of ideas - Lou can develop designs from almost anything, a conversation, a picture, photograph or other reference to create your special cake - let your imagination run wild! delicious flavours and fillings are available and special recipes can be requested for particular dietary needs. 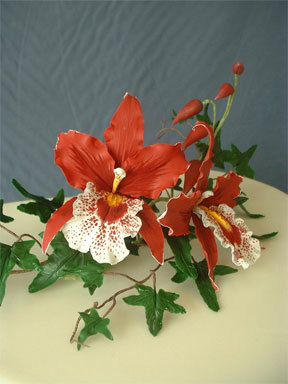 Lou also makes sugar flowers and other modelled pieces for you to add to your own home baked cake. The final creation can be collected or delivered to a wide area locally. and royal iced cakes through to flowers, stacked suitcases, animals, characters or other modelled pieces - the sky’s the limit - and this website is just the beginning! Please feel free to contact Lou to see a portfolio of designs or to discuss your ideas for any special occasion you may be planning. 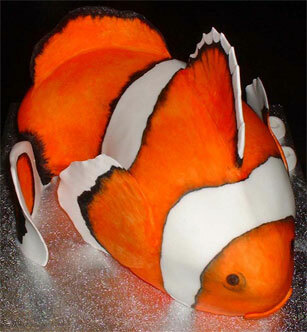 A clown fish makes a beautiful cakes for any age. 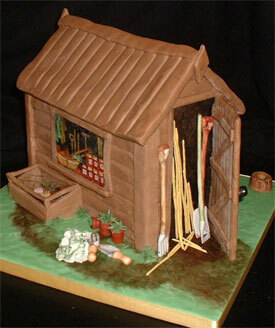 Who ever thought the garden shed could be as tasty or as beautiful as your own garden! 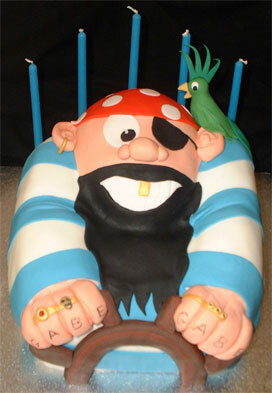 Pirate birthday cake - oooh-aaah me'arties!! This cake was made to match the bouncy castle used at the party. 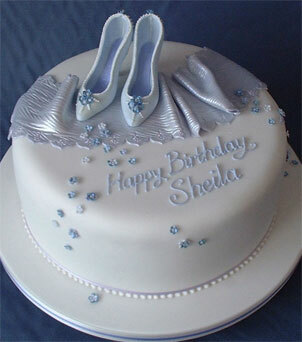 Delicate and sophisticated - a shoe lovers birthday cake! 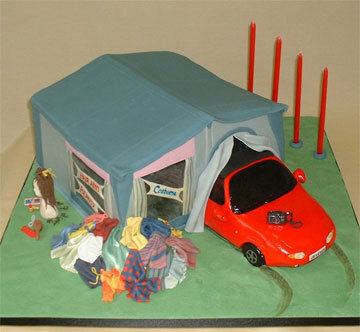 40th birthday cake for the camper and her favourite car!! She is also the costume department for a local theatre school! 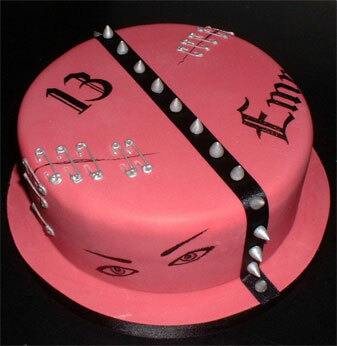 How about a punky pink cake for the teenage rebel out there!